I’m tickled to give you a sneak peek at the illustration for “Band of Seven,” which is being republished soon! The talented artist is Aili McGill, Executive Director at Nickel Plate Arts. I thought she captured the adventure and farcical tone of my piece perfectly. Great job, Aili! So why the axe? And who’s that old biddy with the specs? Well I wrote “Band of Seven” as an editing exercise last winter. Splickety Magazine, which publishes flash fiction, did an issue with a Wild West theme. Since I am the fairy tale lady, I thought the Old West was a natural setting for say, a band of seven female dwarfs? Ones who took a note from temperance ladies like Carry A. Nation and attacked saloons? Splickety published the piece last year, but now I have the rights back to republish, so I am sharing it with a new audience. I may lack qualifications as a dwarf (I am 6 ft tall), but I have experience as a Victorian temperance lady. Most of them were not militant, btw. Nickel Plate Arts (a great supporter of artists of all media) will use this rollicking flash fiction piece to promote their upcoming Fairyville Trail. I’ve participated in Fairyville Trail for 3 years now. The event invites artists of all ages from the community to make miniature houses for fairies, which are judged and placed throughout a local park. Too cute! Live fairies also wander the Nickel Plate Campus, eager to chat and talk up fairy-themed crafts. 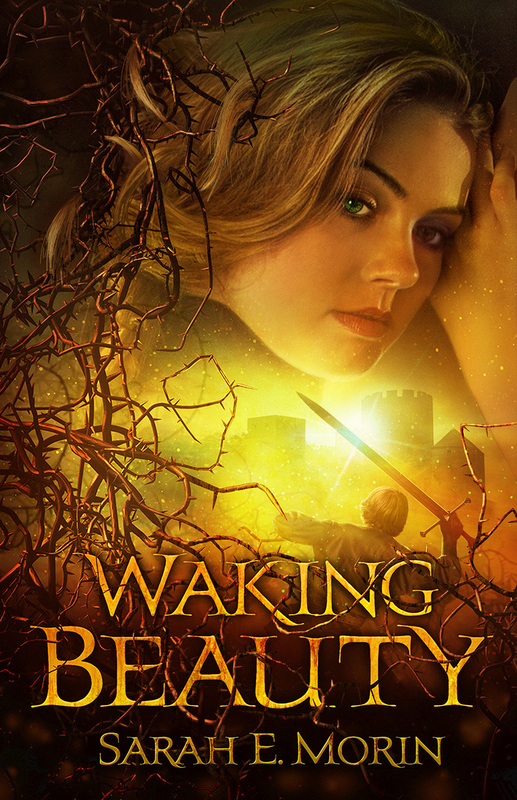 Last year coincided perfectly with the release of Waking Beauty, so Nickel Plate helped me launch my first book. In other years I have recited some of my spoofy fairy tale poetry, such as Rapunzel the Hairbrained and Goldilock-Picker. I’ll let you know more details about Fairyville and Band of Seven soon! In the meantime, it’s not too late to enter the fairy tale crossover contest! If you were writing a fairy tale crossover, which fairy tale and which genre (Western, horror, sci fi, etc) would you combine? It doesn’t matter which January blog post you left your comment on – I’ll find it! There have been so many great ideas left so far. I really hope you people write these stories because now I want to read them all! Tags: Aili McGill, Band of Seven, crossover, Fairyville, flash fiction, Nickel Plate Arts, Old West, Snow White, Temperance ladies, Waking Beauty. Bookmark the permalink. Pinnochio is perfect for a sci fi setting! I wonder how (and if) you handle the nose-growing bit… Good luck! Thumbelina as a spy fiction. Ha ha ha! That’s perfect! She could sneak in anywhere!